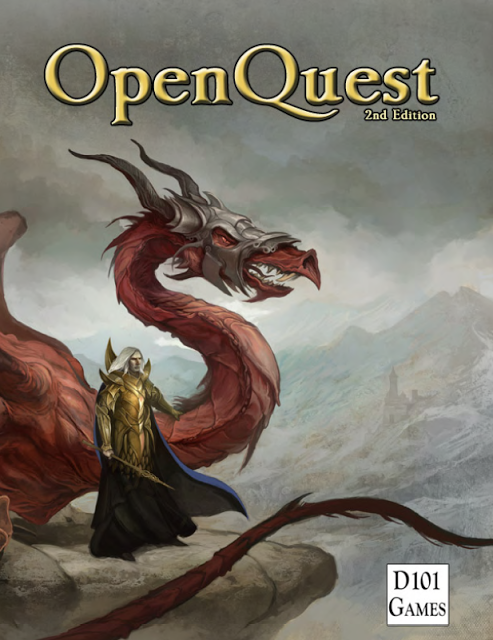 Been a couple of days now, but OpenQuest 2 has been released via Drivethrurpg.com in softcover,hardcover and pdf format. Congrats Newt! Can’t wait to get a copy. Speaking of which, Tenkars Tavern had a contest to give away two copies, in case you didn’t know, so goodman Erik T. gave OQ2 some blogtime.